The Grand Annual Seed of Life Fest is happening again! Food trucks, Music, Vendors, Free Demos, all much more! Our Free Community event of the year! Check out the vendors below! 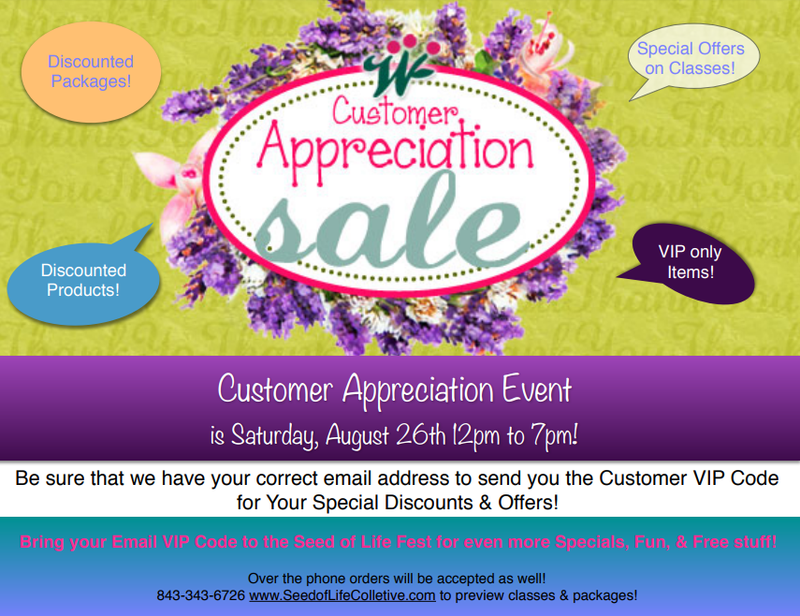 The Customer Appreciation sale will also be held from 12pm-7pm! A special VIP code will be emailed to you to show our appreciation for you. The code will give you exclusive discounts, specials, and offers at the Seed of Life! It is valid only on Saturday, August 26th from 12pm-7pm. Please email SeedofLifeWellnessCollective@gmail.com to get your special code! Keep checking back for updates on food trucks, vendors, and other info! Thanks for the RSVP. We'll see you there!